It happens to the best of us. Those mornings when you struggle to get out of bed, down a morning coffee just to help you get out the door in one piece, and then get to the office only to experience that mind-numbing, productivity-killing mid-day crash. And then there are weeks where such mornings seem to happen just a little too often. I remember this well. Caffeine highs and crashes. A general sense of ennui and mental lethargy. The spaced-out feeling of being…off-balance. And I’ve tried quite a few “solutions,” but the most elegant one I’ve found for low energy (and mood) has been small, simple changes in nutrition and lifestyle. You really are what you eat and if you’re starting out the day with a smoothie packed with vitamins, minerals, nutrients, electrolytes and phytonutrients…well, you’re well ahead of the rest of the caffeine-fueled world. Nourish your body and it’ll nourish you right back. These are my go-to foods to blend to revamp my mood, boost my energy, and give my spirits a lift. Next time you need a little pick-me-up, put down the coffee and give one (or several) of the below a whirl. I started taking Maca root for hormonal balance since it was easy enough to blend into my daily smoothies and I found the taste oddly addicting. It’s a true superfood in every sense, being a rich source of B-vitamins (the energy vitamins!) as well as antioxidant vitamins C and E and essential minerals like calcium, magnesium, phosphorous, potassium, sulfur and iron, as well as trace minerals such as zinc, iodine, copper, selenium, bismuth, manganese, and silica. Maca’s also a great source of protein and contains nearly 20 amino acids as well as a wealth of plant sterols which have numerous health benefits from promoting heart health to boosting the production of disease-fighting T-cells. To top it off, Maca also has high fat content for a root plant – it’s got linoleic acid, palmitic acid, and oleic acid. Not bad. Not bad at all. But the best thing about Maca root is that it’s an adaptogen – meaning it has a unique ability to “adapt” to your body’s specific needs to balance your bodily processes – that helps your body adapt to stress by naturally improving the health of your adrenal system. You know, that system that’s in charge of managing your body’s hormones. And with balanced hormones come a variety of benefits like decreased stress levels, enhanced strength and virility, a libido boost, and focused energy and endurance. Maca also makes me feel quite happy and I’ve heard from several other people that it works as a mood booster for them as well. Both women and men have used Maca for enhanced fertility (and libido – which is why it’s sometimes called a natural viagra). Maca’s effects may be subtle and gradual or they may be sudden and a bit overwhelming. If you notice small improvements in your mood and energy levels – you’re dosing right. If you notice sudden bursts of high-flying energy or jitteriness, you’re probably taking too much. I recommend starting quite small with Maca – just a teaspoon for the first few days. And then ramping up to 2 to 3 teaspoons – or 1 full tablespoons once your body has had time to adjust (after a couple of days). Best maca powder to get? 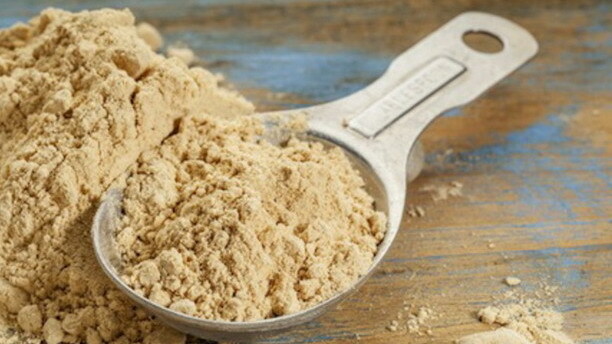 The best Maca is Viva Lab’s 100% organic, gluten-free, and non-GMO Maca root powder. You can opt for their regular Maca root powder to start so your body can get used to Maca first. Eventually, I recommend moving onto the gelatinized Maca powder which basically goes through a process to remove the starch and results in a much more concentrated powder that your body can easily digest, absorb, and make use of right away. 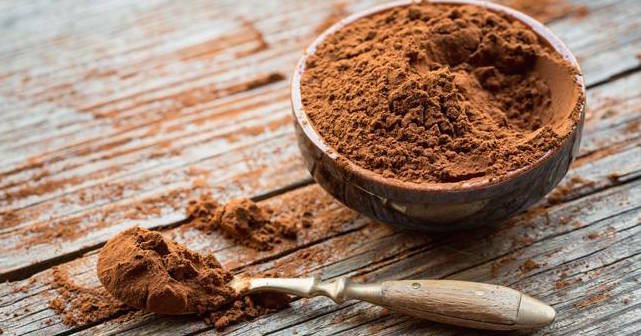 Pure, raw, organic cacao powder is my favorite coffee replacement. Ever. Actually – not even just the powder. Raw cacao is amazing in every form. The cacao nibs make for a crazy delicious, crunchy, home-made natural ice cream – try blending some frozen bananas with cacao nibs and shredded coconut. It’s mind-blowing. And plain cacao beans make an easy-to-carry, healthy and happy on-the-go snack. And cacao – unlike regular store-bought chocolate with all its sugars and other additives – is a guilt-free, weight-loss-promoting, and naturally energy-vamping food. How? Well for starters, this yummy stuff contains both anandamide (taken from the Sanskrit word ananda, which means “bliss, delight” and generally know as the “bliss molecule”AND phenethylamine (commonly known as the “love-sickness chemical” and allegedly what causes recent break-up sufferers to consume mass amounts of chocolate to bring back the feeling of being in love). As for nutritional value – cacao is chock full of health-boosting antioxidants like polyphenols, catechins, epicatechins, and flavanoids. In fact, according to David Wolfe, the cacao maestro (watch his TEDx talk about chocolate here), raw cacao packs a more powerful antioxidant punch than red wine, blueberries and the superfoods acai and goji! Oh, and it’s also packing vitamins and minerals as well as quite a bit of protein. The only thing about cacao is that its rich tryptophan content is great for mood-enhancing, energy-boosting benefits, but it also has a similar effect to caffeine. Down your cacao smoothies in the mornings or afternoons and try to avoid gorging on this yummy stuff at night, okay? Best cacao powder to get? My favorite raw cacao powder is also by Viva Labs – it’s absolutely delicious with a good, strong chocolate-y taste and it’s 100% organic, non-GMO and raw. I’ve also recently tried Healthworks’ Raw, Organic Cacao Powder and that was quite good too, ‘though a little less chocolate-y than Viva Labs. Quinoa is one of the best smoothie ingredients for improved energy throughout the day. It’s not an immediate energy and mood booster like the cacao and Maca above, but quinoa has the huge advantage of turning any smoothie recipe into a filling meal replacement smoothie and it’s a very rich source of both complex carbs and protein, which is a great combination to keep you feeling full and your energy levels high and stable throughout the day. How? The combination of protein and complex carbs – both of which are digested more slowly than simple carbs – increases your blood glucose in a sustained way, helping to boost energy for longer periods. Best quinoa to get? You can find quinoa at most health food stores – Trader Joe’s also has good, very affordable quinoa. Organic quinoa might be a bit trickier to find – you can always order it online. I recommend Bob’s Red Mill Organic Quinoa – it’s affordably-priced and the company has great products across the board. Coconut water, coconut meat, coconut milk, coconut oil, coconut butter…coconut everything is delicious and full of energy-boosting benefits. For starters, coconut water is a natural energy drink. It beats Gatorade or the like in every way – no additives, no high fructose corn syrup – just Mother Nature’s own isotonic drink chock full of electrolytes like potassium, perfect for proper rehydration, with strong antiviral properties, and with the plant hormone kinetin which keeps your body youthful. But it’s not just the water – coconut meat and the oil, butter, and milk that comes from is high in saturated fat. 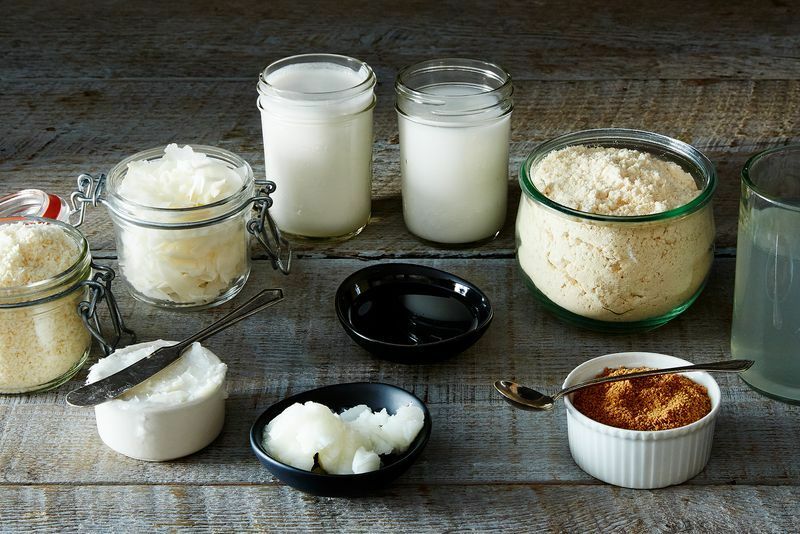 Except it’s not the same saturated fat that we’ve all been taught to avoid – the fat found in coconut meat is primarily medium chain triglycerides, which are types of fat that is turned into energy quickly and efficiently by our bodies. The saturated fats found in coconut have also been shown to support the immune system, thyroid gland, nervous system, and protect the skin. 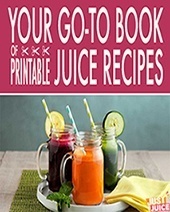 Adding a bit of coconut oil, fresh coconut meat, or coconut butter or milk to your smoothie recipes is a delicious way of giving your fats that it can quickly and efficiently use to keep you from feeling sluggish throughout your day. 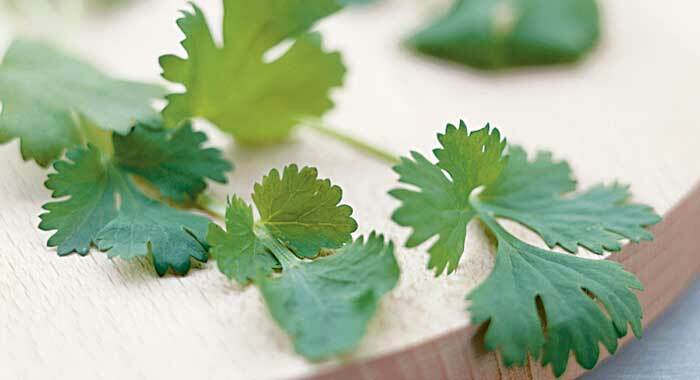 Herbs are some of Mother Nature’s most potent, health-reviving foods. And you don’t even have to reach for the super-exotic, hard-to-get (and pronounce) herbs to experience their benefits. Garden variety herbs like parsley, cilantro, purslane and mint blend beautifully in smoothies and are densely packed with essential vitamins, minerals and a load of energy-boosting, mood-alleviating benefits. Parsley, for example, is an awesome green herb to toss into your smoothies for a gentle detox, a super burst of nutrition and energy. 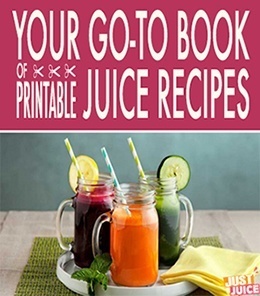 It’s totally loaded with vitamins as well as cleansing chlorophyll which helps bind to and remove toxins from your body to improve your overall health and bodily processes. Purslane, on the other hand, has been found to contain 10 to 20 times more melatonin than any other herb or vegetable, which help regulate sleep, menstrual cycles and even fight off the stress hormone cortisol. Cilantro keeps your energy levels stable by helping to control your blood sugar levels and boosting your body’s ability to produce insulin. And cayenne pepper adds a deliciously spicy kick to your smoothies while at the same time promoting better blood circulation – which has a direct effect on energy levels since it is the blood that circulates throughout the body to deliver nutrients and other essential materials. And that’s not all – check out our list of herbs for more suggestions to use in your smoothie recipes! Spirulina is bluish-green algae that packs a huge nutrient punch in very small doses. This little green algae is made up of about 70% protein and it’s a complete protein as well, providing all 8 essential amino acids. The stuff’s also one of the few plant sources of essential vitamin B12, which is crucial for things like converting carbs into glucose to be used for energy as well as aiding in cell reproduction and renewal. Add to that the fact that spirulina is a source of rare gamma linolenic acid (GLA), which helps regulate our metabolism and boosts brain function and you begin to understand how this little green supplement plays a large part in revamping your body’s energy resources. To top it all off, the great thing about spirulina is that is has a totally digestible cell wall that makes it easy for our bodies to easily and immediately digest and absorb the nutrients it provides. 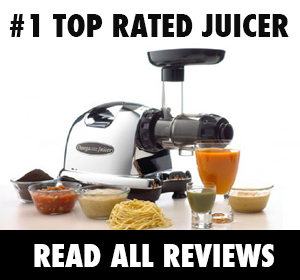 It’s ideal for people with digestive issues who might otherwise have difficulty absorbing nutrients from foods. Oh, spirulina is also super rich in detoxification-aiding chlorophyll and very high in iron – which has an enormous influence on our energy levels by transporting oxygen through our bloodstream. I’d suggest starting out small with spirulina – very small, like half a teaspoon – and them ramping up to at most a full teaspoon. And I don’t recommend consuming it with just water (it is seriously not yummy) but spirulina powder does blend well into smoothies and can be rather delicious with the right fruit and veggie combo. Best spirulina to get? For spirulina, my brand of choice is hands down Nutrex’s Hawaiian Spirulina. It is by far the best-tasting, best-quality spirulina I’ve tried…and at a good price. 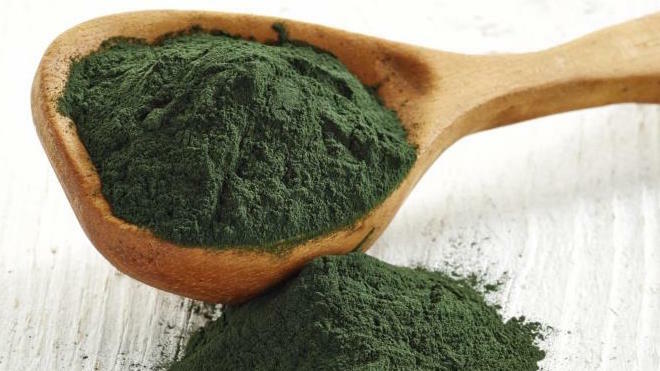 I usually recommend organic supplements and believe me – I’ve tried the available organic spirulina powders on the market – but they are simply not palatable. And whereas Nutrex’s spirulina is not organic, it is US-grown and produced, using pure ocean water and at a high-tech spirulina production favility on the island of Hawaii. It’s also dried at low temperatures to ensure the nutrients are kept intact. The quality of Nutrex’s spirulina is consistenly great – this is the only spirulina brand I’d recommend at this time. There are a lot of energy-boosting, mood-revamping superfoods out there, but the 6 above are the best I’ve found. Are there any foods you consistently blend into your smoothies for energy benefits? Share with us in the comments!